Two handouts on internet safety for primary school aged children, young people 11+ and parents and carers. 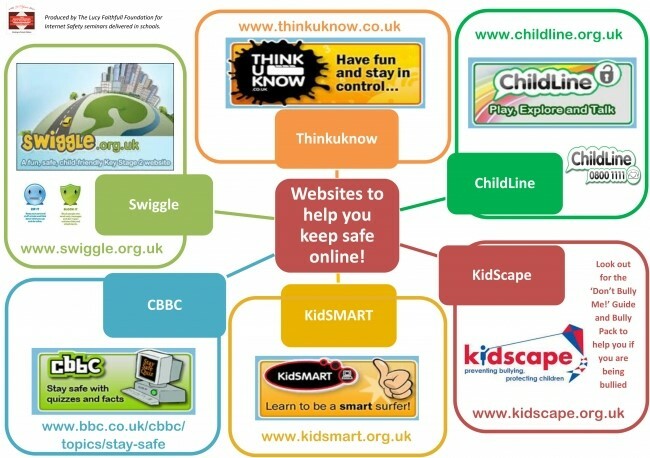 This downloadable leaflet gives primary school aged children and young people aged 11+ information about some helpful websites to help them keep themselves safe online. 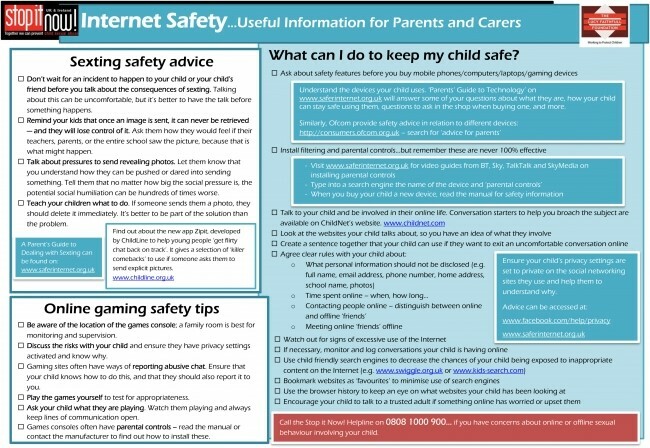 This downloadable leaflet gives parents and carers useful information about risks to children associated with internet enabled devices including: sexting, online gaming, cyberbullying, grooming and social media including signposting to other resources and information.